It’s basically common knowledge these days what a bonus green energy-saing items are. Most people are aiming to maximize their energy efficiency, both to save costs and minimize environmental impact. Adding solar energy to your home will do both. Let’s take a quick look at the statistics. Solar panels can cut down on the carbon dioxide a home uses by 36,000 pounds annually. In case you didn’t know, carbon dioxide or CO2 is the main contributor to greenhouse gases and global warming. This makes installing solar panels the environmental equivalent of planting 88 trees! Definitely something to get behind! So you’ve decided to install solar energy… what now? 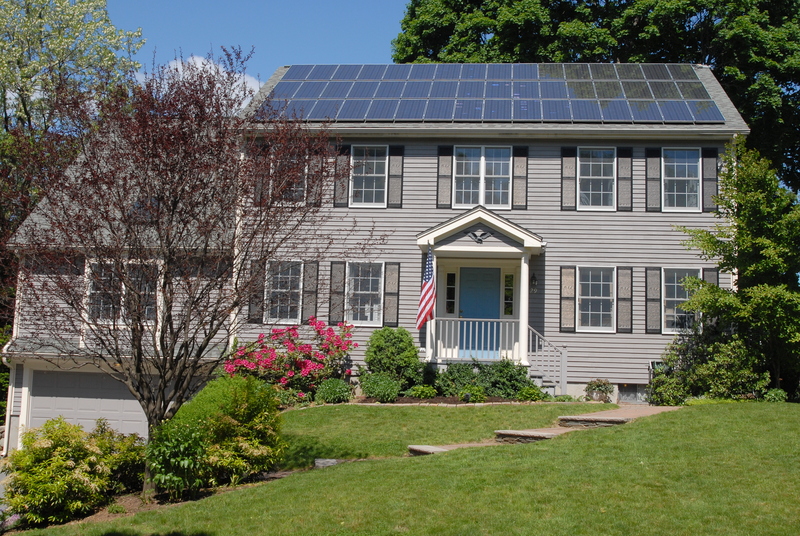 Here are 10 questions you should ask about going solar. How much sun will your solar panels receive? Generally, solar energy panels need sun from 10 a.m. to 2 p.m. each day. You don’t need bright sunshine, just enough to hit your panels between these hours. If you have a chimney, trees or other building blocking your roof space you should have an installer give you an assessment of whether your roof is a good candidate for solar power. Solar panels receive sun not only from the sky but also from insolation, the degree of solar radiation the ground receives during a given span of time – this varies according to region. Again, an installer will be able to give you a better estimate. How much roof space do you have? If your roof has vents or skylights, there may not be enough room for the necessary amount of panels. What type of shingles do you have? Solar panels are usually used on asphalt or composite shingles. Other types of material may still be possible but it could be more expensive. When will your roof need to be replaced? If you have 15 to 30 years left on your roof, you’re good to go. Most solar panels last 20 to 30 years. If your roof needs major work within the next 5 years however, it doesn’t make sense to install solar panels just yet. Wait until you have a new roof to go solar. You should get a sense of how much energy you use each year. Either add the kilowatts from the past year’ bills or keep tabs as you go. Don’t look at just certain months since energy use changes depending on the weather. Keeping track of your kilowattage will also help you calculate your energy savings! Will your energy needs change in the future? Remember to factor in changes in your life that could cause changes in energy consumption. For example, if you’re planning to have a child this will cause more energy consumption. Conversely if your child is leaving for college, this will lead to a drop in energy uses. Also, it’s important to consider how your home’s appliances and extras will age. Old appliances can use excessive amounts of energy that may negate your energy savings from solar panels. Energy inefficient doors can be responsible for more than 20 percent of a home’s energy loss! If you want to add solar panels, you should consider your budget for future energy upgrades in your home. In the end, the amount of money you will save from going green will make up for it! What are the permits required? Municipal and state permits vary tremendously by locality. Some require several feet of clearance around the panels. Some iwl let you build to the edge. It’s important to know before you engage a contractor otherwise you may have to tear down the panels and redo them. Make sure your electrical systems will be up to code once the installation is complete too. When can you start to enjoy the benefits of solar power? Be sure to ask your installer and do research about when the benefits of having solar panels will flow through to your house and your bottom line. However, when factoring in the time it can take to do construction and getting permits, installation can take from several weeks to several months. The cost of installing solar panels has actually dropped 60 percent since 2011! The cost on average is currently $17,000. Remember that the cost of installing solar panels is offset by a number of tax breaks. Through 2016, there is a Federal Investment Tax Credit that can reduce the costs of installation by up to 30 percent. Many states offer tax credits or offsets. Do some research to ensure that you reap the full benefits of solar installation. Some companies offer rebates for installing solar panels. Solar panels will not add to your property taxes. Additional taxes are levied by size – so a larger garage or another room may result in higher taxes. Solar panel do not add to the size of your home so there aren’t any property taxes to worry about. When your crunching the numbers, remember that the solar panels will add to the resale value of any home - especially as green energy becomes more popular.